Caravan parks offer a decent choice for pet friendly and dog friendly holidays. They usually have plenty of space for walkies and some are near to dog friendly beaches. We've picked out 10 of the best pet friendly caravan holiday parks in the UK from a selection of the biggest seaside resorts and counties, including Dorset, Isle of Wight, Cornwall, Devon, Wales, Yorkshire, Norfolk, Blackpool and Skegness. We've done a bit of digging (much like a dog) but have a proper read of the small print with each park as the phrase 'dog friendly' means a lot of different things. Some only allow one pet, some have dog walking areas and so on. We picked our top 10 by looking at location, dog-friendliness, facilities, customer reviews and price. 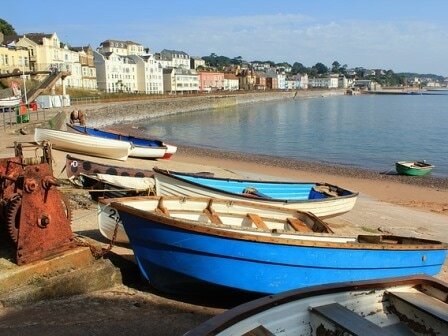 Devon's Woodovis Park is an excellent choice for a holiday park as long as you don't mind a long drive to the beach. It's got a dog walking field onsite and pets are allowed in several of the different accommodation options on offer. Dogs were charged at £40 a week when we checked. It gets outstanding reviews, offers good value for money and has decent facilities. However, it isn't near to the beach so there's no chance of an early morning dog beach walk without a bit of travelling to one of Devon's dog friendly beaches. Facilities onsite include an indoor swimming pool and play area along with some more unusual activities including pony and carriage rides, story sessions and circus skills. National Trust members can also get in free to Lydford Gorge. Reviews of Woodovis Park are amongst the best in the country for holiday parks with an average of 5/5 on TripAdvisor or just above 9/10 on Hoseasons). Price comparison: £865 for a family of four and one dog for a week in August 2019 in a 'Finch' caravan (for our price comparison we looked for the cheapest accommodation available). You won't be able to take your dog onto the beach at Praa Sands between Easter and October, but there are dog friendly beaches nearby and the park allows pets in the accommodation. 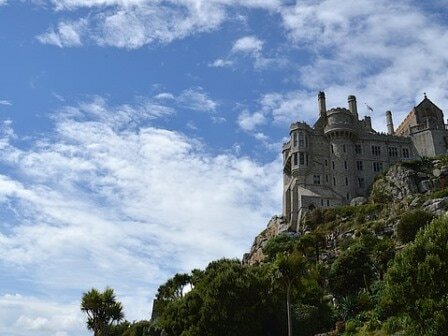 It's at the far South West end of Cornwall, meaning it's a huge drive from, well, anywhere (it's nearly two hours from the north of the county to Praa Sands). 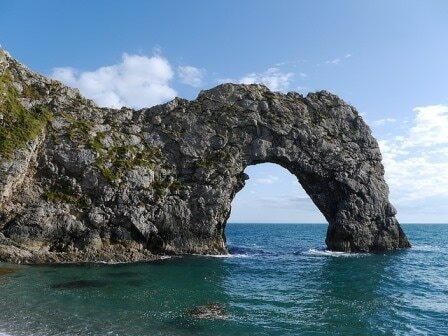 Once you are there, you're rewarded with a beautiful stretch of coastline which is much quieter than a busy resort like Newquay. 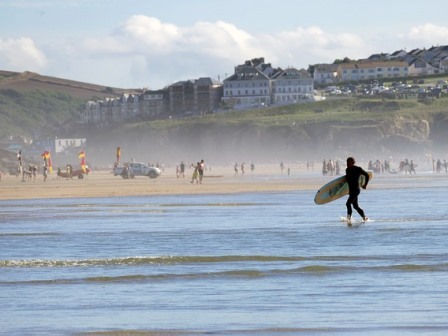 Praa Sands is good value compared to many parks in Cornwall, where we've found that prices are a bit higher than in some other counties. It has activities onsite including an indoor swimming pool with gym and sauna as well as a restaurant and bar. There's also a Golf and Country Club attached. Price: £940 for a week in a silver caravan for a family of four with a dog in August 2019 (including £45 per pet, maximum of two). Nodes Point and St Helen’s Holiday Park are very near to each other and both allow pets but they offer very different caravan park holidays. We've included them both as they are by the beach at St Helen's which allows dogs. It's also also only a short drive to Bembridge beach which also allows dogs. Nodes Point is a busy park owned by Park Resorts (now merged with Parkdean Resorts). It offers an indoor swimming pool, bar and restaurant, horse riding along the beach in summer and family activities. Reviews average 4/5. St Helen’s Holiday Park is a quieter and simpler holiday park but it gets slightly better reviews of about 4.5/5. It's got an outdoor swimming pool and a play area, but there's less to occupy children if the Isle of Wight sunshine doesn't turn up. Price: £839 for a week in a 'Carisbrooke' chalet at Nodes Point for a family of four, plus a dog in August 2019. Includes £40 for a pet for a week. Hoburne Park gets great reviews and (unlike some holiday parks) you can actually stay in the classier caravans with dogs. The park is in the Christchurch area and has bucket-loads of facilities onsite, including indoor and outdoor swimming pools, indoor soft play, a playground, somewhere to eat, crazy golf, tennis court and a gym with a sauna. Reviews are well above average at around 4.5/5 on TripAdvisor. You might like to look at individual caravan reviews on Hoseasons too. Bournemouth and the New Forest are nearby, or you can walk to the beach in about 20 minutes. As far as I can tell, dogs aren't allowed on the nearest beach (Avon Beach) during the summer but there are plenty of dog-friendly beaches in Dorset. Some of the accommodation at Park Resorts' California Cliffs is dog friendly, and it gets solid reviews of about 4/5 from most review sites. ​It's the kind of place which is popular with families, so expect lots of children and busyness rather than complete silence. There's an indoor swimming pool for rainy days as well as outdoor entertainment including a sports court, outdoor swimming pool, crazy golf and an adventure playground. Reviews of the different grades of accommodation vary considerably. When I checked there were more than 10 different options on offer with reviews ranging from 6/10 to 9/10. It's a short drove to the kiss-me-quick hats of Great Yarmouth or there are plenty of quieter beaches along the Norfolk coast, many of which are dog friendly beaches. You can bring a maximum of two pets. Price comparison: £759 for a week in a Happisburgh caravan in August 2019 for a family of four including £40 for a dog. Limefitt Holiday Park is owned by Park Resorts and has got a dog walking field and dog friendly accommodation, so it's worth considering if you're looking to explore the Lakes (and why wouldn't you). There's not a great deal to do at the site (there's a games room, pub and a playground) but it gets great reviews of about 4.5/5 on average. It's not far from Windermere, right in the heart of the Lake District so you won't face a huge drive to see the beauty spots. Pets cost an extra £40 per week, with a maximum of two. Allerton Holiday Park is one to consider if you want to see Yorkshire's national parks and don't mind spending a lot of time in the car. It's not one for those looking for a beachside holiday park. It's in a central location, near to Harrogate but you can get to the Dales or Moors in about 30 or 40 minutes. You could also get to York or Leeds for a day out easily enough. The park itself gets very positive reviews from visitors, averaging about 4.5/5 although there's not a lot to do on site. I'd see this one a good base for exploring rather than somewhere which will provide entertainment in itself. You'll find it is one of the cheapest dog friendly holiday parks around as well. There aren't a huge number of reviews of Tan-Y-Don holiday park in North Wales, but those available are very positive (generally around 9 out of 10). It's a quiet site which is near to the beach at Prestatyn and it's also near to the Clwydian hillside. There's a children's play area, but not a huge amount to do onsite, so perhaps one to use a base for further exploring. Snowdonia is close enough for a day trip, as is Liverpool. You'll need a good pair of walking boots and a dog with plenty of energy if you want to walk the two miles to the beach from Southview Leisure Park. As with most holiday parks in Skegness, it's not right on the beach. Once you get to the beach, there's a partial dog ban but there are still sections you can take your dog for a walk. However, it's a dog-friendly park which gets decent enough reviews of about 8/10. It's run by Park Resorts (one of the big names in the caravan holiday park market) and it has an indoor swimming pool, sports court, gym, fishing lakes, playground, 9 hole golf course and a restaurant. Book up early to get one of the caravans with better reviews, as there's a big variation in the grades available. There's a one dog limit at Ribby Hall Village which is a bit posher than most holiday parks on this list. It's one of the best holiday resorts in the Blackpool area, though it's a bit more expensive than most and tends to offer lodges rather than caravans. The downside of a Blackpool holiday with a dog is that there are quite restrictive rules in place on the main beaches. A couple of beaches allow dogs on leads, but that's about it unless you're happy to travel further along the coast. Within the holiday park you'll find lots to do including an indoor swimming pool with things likes flumes for children (and childish Dads, like me). There are sports including tennis, fencing, squash, canoeing and fishing, although some cost extra. There's also a bar and restaurant and evening entertainment. Reviews are really good at about 9/10 on most sites. Price: £1289 for a week in a cottage for four people and a pet in August 2019. Our price comparison just looked at one week in August for a family of four with a dog. It will often be much cheaper to visit outside of school holidays, if that's an option for you.